If you love a good craft beer, you likely factor that in when choosing where to nosh or drink out. Good brews for beer lovers – the taps are really flowing in Rock City. Next time you’re having a hard time on where to grab a pint, check out our guide. to get you started. Raduno Brick Oven & Barroom – Raduno’s bar boasts of a hip aesthetic, and what’s more – sports 20 taps. The colorful chalkboard between two T.V. screens will tell you everything you need to know from pour size to brewery location. Catch Stone’s Throw and Flyway on draft if you’re trying to stay local. The Fold: Botanas & Bar – If you want a good brew on a trendy patio, check out the Fold. They’ve got four rotating taps that will satisfy you. Kent Walker Artisan Cheese – Don’t overlook this cozy taproom with all local offerings currently including drinks from Diamond Bear, Moody Brews and Stone’s Throw. Loca Luna – Grab a draft or two when settling in at the Riverdale staple. Drafts include Lagunitas IPA, Bubba Brew’s Ten Point, Shiner’s Lemon Shandy, New Belgium Heavy Melon, and more. Dugan’s Pub – Enjoy the Irish Pub feel amongst a great selection of beer from domestics to craft stars including Lagunitas, Lost 40, and Oskar Blues. Samantha’s Tap Room – Samantha’s features 32 taps with many local and regional craft beers on rotation. 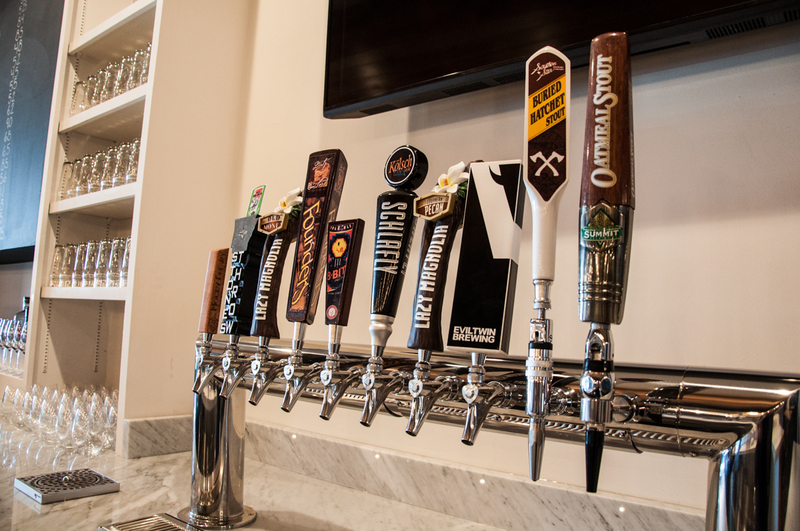 Faded Rose – The Rose’s bar is full of great local and regional beer to pair with their signature Cajun dishes. You can find Abita, Flyway IPA, Two Hearted, Oberon Wheat, Stone’s Throw, along with several other seasonal rotations. 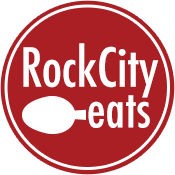 Dizzy’s Gypsy Bistro – The River Market hot spot is home to more than just the best cheese dip. 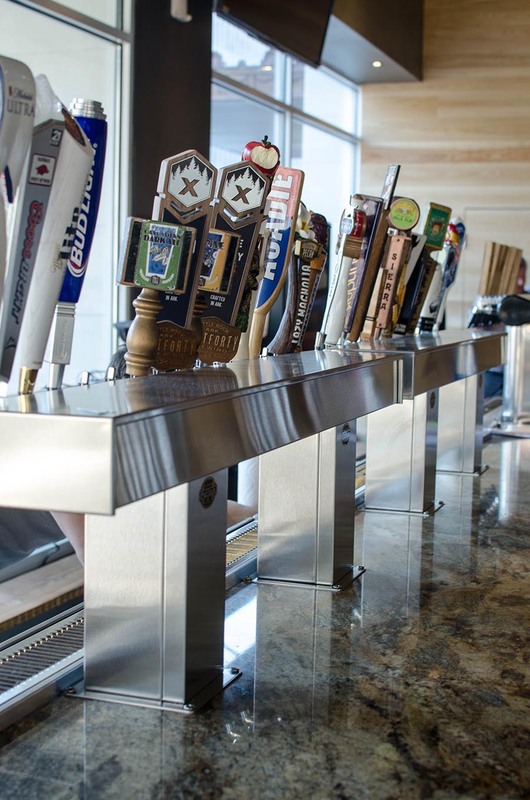 They feature 12 taps using all local craft beer featuring Stones Throw, Flyway, Core, Lost Forty, and Ozark Brewing co. 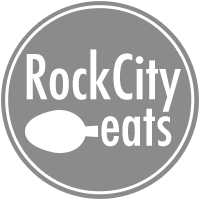 The Pantry / Pantry Crest – Eastern European Cuisine isn’t the only star at The Pantry’s two locations. You can also expect a good brew. The Rodney Parham location rotates five drafts, currently sporting Lost 40, Stone’s Throw and Stone. The Pantry Crest has 12 taps, though, so if you want more variation be sure to stop by. 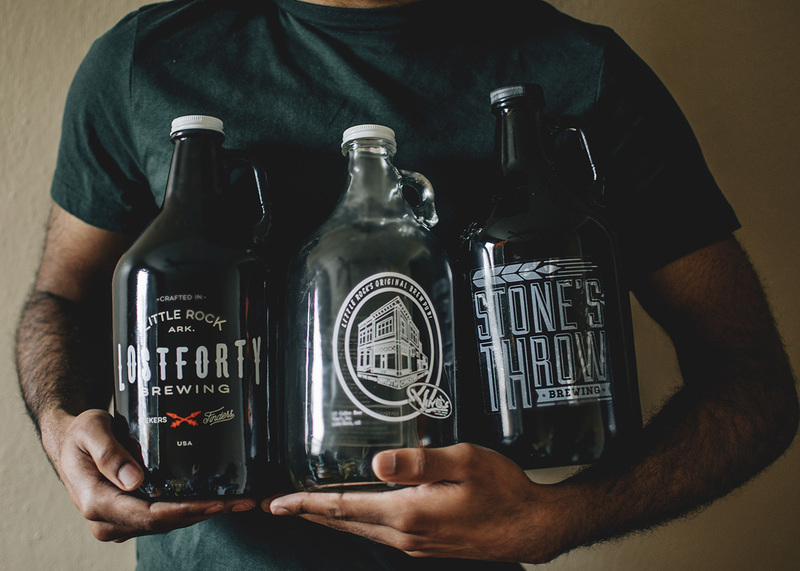 Look for regional craft favorites like Summit, Tallgrass, and Boulevard, as well as other local offerings from Bubba’s Brews, Stone’s Throw, Lost 40 and Flyway. Big Orange Midtown / West – If you’re craving some substance with your beer, head to Big Orange. Both restaurants keep the same draft menu, and rotate their offerings quite frequently. Right now you can catch a long list of Lost 40 options as well as a few other standout beers like Clown Shoes Imperial Red Ale. Local Lime – If your friends want tequila or mezcal, but you still want beer, Local Lime will satisfy everyone. Currently you can catch a few of Lost 40’s suds on tap. Heights Taco & Tamale Co. – The bar program is great, but don’t forget to check your suds. Currently choose from Lost 40’s Hunter, The Day Drinker, and Bell’s Oberon, among others. South on Main – Head Barman David Burnette has always had an eye towards local beer. Currently choose from Flyway’s Early Bird, Free Range Brown, Lost 40’s Honey Bock, and Stone’s Throw’s Queen Ruby Red Cider. Damgoode River Market – Have a house made brew or select from some of their other regional craft options. Tavern – Choose from over ten craft beers including local stars Flyway, Core, and Lost 40. Four Quarter Bar – There’s a little something for everyone if you can handle the smoke. Over ten taps play host to local and regional craft offerings. Reno’s – The Argenta bar has been slowly curating their 28 taps. Look for local offerings among other great craft stars. Table 28 – Even when eating fancy you can still have your beer. Right now catch Wiseacre, Lost 40, Bells and Lagunitas. Skinny J’s – Skinny J’s keeps their brews like they do their menu – varied with something for everyone. Catch Ozark Beer here as well as Lost Forty, Stone’s Throw, Flyway, Apple Blossom and much more. Maddie’s Place – Five rotating taps will greet you at the bar at Maddie’s. Look for Stone’s Throw, Bubba’s Brews, and Abita among others. Southern Gourmasian – The Southern Gourmasian offers several local craft beers on their rotating tap list. Professor Bowl – One of the best craft beer hideouts in town. Have a look for yourself.